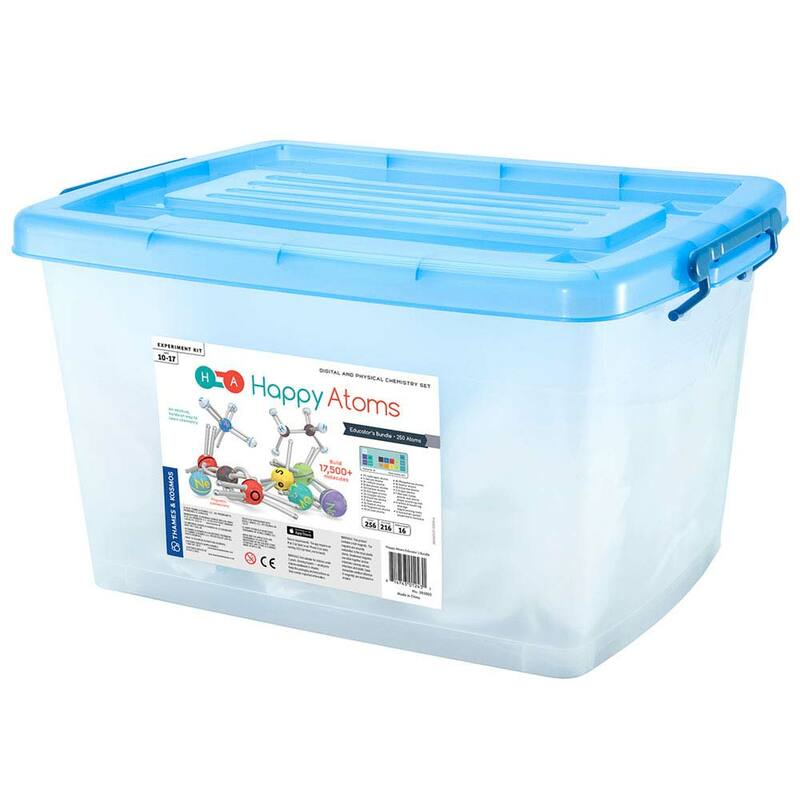 Happy Atoms Educator's Bundle (250 Atoms), Chemistry: Educational Innovations, Inc. Allow additional shipping time. Shipment, including Express shipments (Next Day; 2nd-Day; etc...) may be delayed a few days. 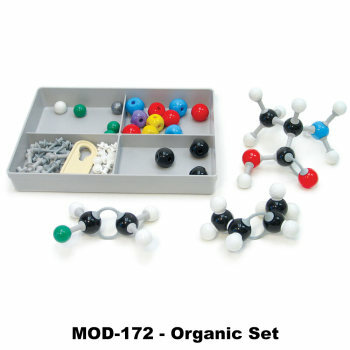 An innovative digital and physical chemistry set. 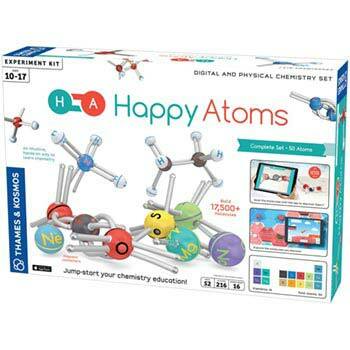 Happy Atoms is an innovative digital and physical chemistry set that allows students to discover the world of molecules in an intuitive, hands-on way. 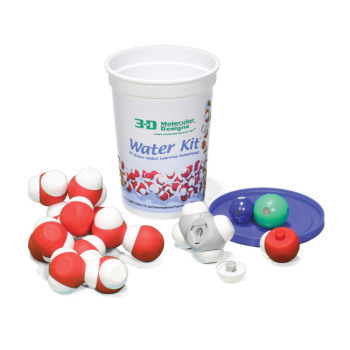 It's the perfect tool for a budding young chemist, yet it is advanced enough for older students seeking to visualize complex molecules and reinforce their chemistry studies. The atoms "bond" together using magnets that accurately portray the single bonds, double bonds, and free electrons that make up the molecules of the universe. 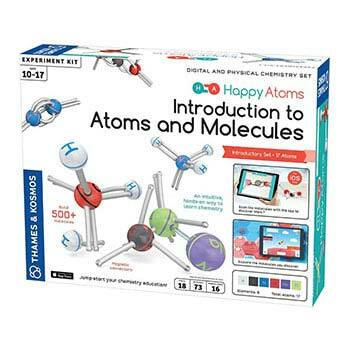 A free app gives students a wealth of information about the molecules they've created. All sets include 250 atoms, a periodic table scanning mat, quickstart guide, and 16-page experiment manual.